Simonton 9800 windows are the best of Simonton's many vinyl window options and models. The 9800 Impressions has a pretty distinctive sash, which is better looking than their other models. It comes standard with 3x weatherstripping on all points (the other models such as the Simonton 5300 window come standard with 2x weatherstripping.) The window also uses the Super Sensor Glass (their high end option), krpton gas fills, 2 low-e sc surfaces, a super spacer and a full lifetime warranty that includes a glass breakage provison. The Simonton 9800 Series will offer slightly better performance numbers than the 5500 Reflections Series and looks better in terms of the frame and color options. This window will typically run $50 to $75 more than the 5500 Series. The 9800 Series is not necessarily a hurricane window, however with two upgrades, including a sill reinforcement and the laminated glass option upgrade, the 9800 can be used in most areas as an impact window that should be on the lower end of hurricane window costs. The 9800 Impressions window includes a number of additional custom color options, including 3 custom interior colors, 8 custom exterior frame color options, and 4 custom hardware finishes. All in all, the 9800 Impressions is the nicest vinyl window that the company offers and an excellent impact window option that won't break the bank. The Simonton 9800 replacement window costs will run $53 to $68 per square foot for the window itself. Homeowners can expect to pay $67 to $78 per square foot fully installed. Comparable replacement windows pricing include Harvey Tribute windows cost and Wincore windows prices. The Simonton 9800 Series double hung that measures 36" x 63" delivers a 0.13 scfm/ft2 air infiltration. 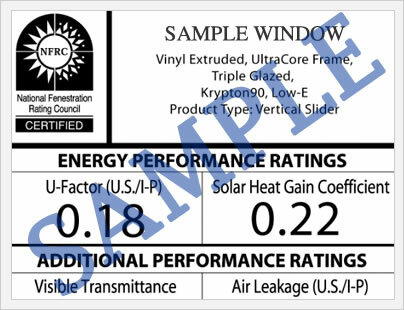 With the Low-E 270 Laminate glass package, consumers can expect a .30 U-factor, 3.33 R-value, .44 SHGC, .24 SHGC and .99 UV blockage (center of glass). The 9800 with the two upgrades mentioned above, the sill reinforcement and laminate glass, should achieves a DP 65 rating. The 9800 Impressions window warranty is the best that the company offers, including a double lifetime warranty on all vinyl materials, components, interior laminates, screens and hardware. The double lifetime means that if you were to sell your home, the next buyer gets the warranty for their lifetime as well (homeowners must notify the company in writing of the transfer). The glass is covered for 20 years, although the portion covered by the company is at a prorated amount. 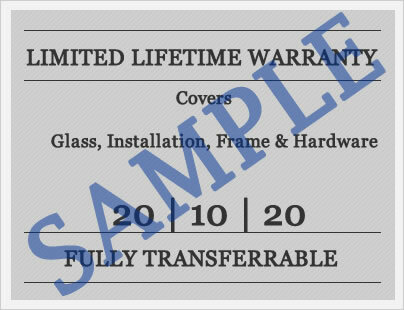 The warranty covers glass breakage (20 years), laminated glass (20 years), interior laminates (double lifetime), and factory applied coatings (10 years). There are limitations and exclusions that homeowners shoud read prior to purchase. Do you have a question for Jim or John (our site experts) about the Simonton Impressions 9800 Series? Our industry professionals can help you get more info on pricing, upgrades and add ons, installation, contractor prices, as well as help you sort through the bids you are considering for your next home window project. Want to add your Simonton 9800 windows reviews to the site - post it here and help others get the information they need to make the right choice for their homes. What is difference in price and quality between Simonton Duration series and 9800 Impression Series? Thank you. Carol I'm not quite sure what the Duration series is from Simonton. I know the Impressions series is one of their more expensive and better window series they carry. Of course, I can't give you any hard fast pricing because costs are based on size, competent, glass package, upgrades and much more. Get a few bids from different companies in your area — Simonton is everywhere so there will definitely be a dealer in your area. How much do the impression line cost? Tom, that's a difficult question to answer due to the many factors that affect the per window cost. You have glass packages, spacers, upgrade options, not to mention the huge number of installation issues that can drive the cost up or down. But I'll say this, a standard sized Simonton Impressions window with normal installation should run $400 to $550 per window in my experience. My current casement wood window has a sash width of 17 1/2" and a height of 46". The visible glass width is 14" on this sash. I am thinking of replacing it with Simonton 9800 casement window with a sash of 17 1/2" but since vinyl frames are thicker than wooden frames what would be my visible glass width if I get a Simonton 9800 casement with 17 1/2" sash? Can u please advise. Ravi, if you did a retrofit installation you would probably lose 1" to 1.5" on each side for the thicker frame, which is quite a bit for such a small window opening. If you are completely removing the old window and replacing it with the Impressions 9800 model, you will probably lose 0.5" to 1" due to the thicker vinyl frame - it will look better than the retrofit - this is actually quite a nice looking vinyl window, probably the best that Simonton has to offer. (The only reason you would have to do the retrofit is if taking out the original wood window would require lots of work to the exterior surround that would bump up the cost to the point of not making it worth the expense.